In our last episode of adventures in bathroom remodeling, we were stuck with temperatures too cold to do the next step - refinish the old clawfoot tub. We need both air and surface temperatures to be at least 72° F / 22° C to work with the product. Because our house is so cold, we decided to wait until warmer weather. That was actually a good plan, because with planting season right around the corner, we have some outside projects to tend to. At the top of the list was a shelter in the front pasture for the bucks. This is because next summer we will remineralize the buck pasture, just like we did the girls' new pasture last year. We also decided to plant it to field corn for one summer before planting forage. That means the billy boys have to be moved elsewhere for awhile. The new shelter is three sided. The sides aren't square to the back, but sort of fanned out. New goat shelter, just finished. Dan built it in the far back corner of the pasture. He used two privacy fence panels for the back. look to the fenceline once we replace the welded wire with privacy panels. We plan to eventually fence that property line with these panels. The roof is shingled. Dan contemplated the options and went with shingles when we found them for $15 a bundle at a surplus building supply warehouse. Also he built a hay feeder. The "tray" on the bottom catches a lot of hay that the goats tend to pull out. Not all, as you can see, but it's the least wasteful hay feeder we've made so far. The challenge was the size. It needs to accommodate a short Pygmy and a tall Kiko. Our bucks, Gruffy and Elvis. Because the fencing panels have gaps between the pickets, Dan added an inner plywood wall across the back of the shelter. The purpose of this is to block the wind. Cold is actually less of a problem for goats than rain and drafts. They need to be able to get out of these if they choose. I was able to test this out the other day when I was painting. The day was sunny but the wind was sharp and chilly. It was snug and pleasant inside. I love barn paint. It covers pretty well and wears well too. Dan built the shelter off a fence corner, so it incorporates the fence too. The last thing to do is to run a gutter along the back and add a container to catch rainwater. This will be very helpful for watering the goats. So, another project almost ready to cross off the to-do list. Very nice, especially with the paint. I had just been admiring your painted outbuildings a few weeks ago. Lol, weird, but true. Bet the "boys" like their new digs, congrats on one more thing off your to do list. JW, I'm glad you like the look! I think it makes outbuildings look tidier plus paint helps protect the wood. TL, they don't realize yet they won't have access to the buck barn much longer. But a visit to the shelter is first thing on the morning agenda, to eat hay! Squirrel Family, thanks! Too bad barn paint only comes in 3 colors: brick red, white, and green. So, is it warm enough for the bathroom work to commence again? Now THAT speaks to me!!! I want something like that for my future little critters AND my tools in a little closet inside. If you had it for goats, would you go South facing? I am setting up my orchard and will have 8 foot wire, I could have the goat pen adjacent. I am about to have clear land all around it, but I don't know which direction. South, east (antisocial because I can't see inside from the house) or West facing? Barb, excellent questions. The best answer I can give you is that you need to observe the wind and weather patterns on your property. Our weather can come from either the west (northwest in winter, southwest in summer) or the east (hurricanes). When we built the buck barn, we faced it to the southwest, but it catches a lot of wind and rain being blown in. The line of trees along the pasture don't help, because they help channel the wind that way. We finally realized that our 90 year old chicken coop is perfect. It faces to the east, and rarely does wind or rain blow in. The new goat shelter faces the same way. I did ask Dan to extend the west wall a bit, for added wind protection. So far so good, but a real test has yet to come our way. Looks great, and I love the color! It is always exciting to mark a project off your list. Having grown up on a farm, my eyes always see barn red as the appropriate color for outbuildings. Any other color is just silly! Looks great! Those boys will be so happy! Leigh I love red barn paint too! Your new goatie shelter is perfect for both tall and small members of your flock. Dan did another bang up job! Love it when another large item is crossed off the list. You guys are so handy!!! The privacy fence panel is a billiant idea! We have needed something for the chicken run on the South side as the wind and rain come off of the bay and also the sun in the summer..all hard on the chickens. I can hardly wait to show my hubby this. Thank you to your Mr.
we could do with one of these for log storage. Dan has done a great job building shelter for the goats. Great choice using the barn paint. I have a honey do list for Bulldog Man now that the temperatures are starting to warm. Serenity, the paint can label actually says "barn & fence." There's a photo of it here. I get it at Lowes for about $15 a gallon. Pam, we have to take good care of our goats! Sherri, it was Dan's idea, clever man. I hope it works for you too. Gill, it would be perfect for that too! Sandy, LOL. He can't go anywhere till he's all done here. :) It's just nice to be getting some warmer weather again. Your bucks will love their new shelter, and will certainly love what you're doing with their pasture! Wow! It looks so cozy and snug in there. It feels so good to get things scratched off that list, huh? VERY nice, new shelter for the boys. And oh-so-wise of you to plan for it to be big enough for a whole herd of critters if need be. What a great idea to catch the roof rain water to water the animals! Duh, methinks we ought to incorporate that idea here! Sometimes it's the simplest of things that slip right by one. Janice, they've taken to it really well, though they haven't been shut off from the buck barn yet. I don't think they'll mind though. Daisy, it's a wonderful feeling! Mama Pea, I know what you mean, LOL. Dan is on a water kick though, which is good, and will be very helpful at chore time. I'm so glad you said it would include a llama, we added a horse to our farm last fall for the boys and I wanted something like this on one side of the pasture for a lean shelter if it started pouring and the didn't make it back up front. Leigh Congats it so perfect!!! our baby goat season ended yesterday..6 boys n 1 girl , we lost one boy( twin:(.) with several dramas , I have 2 babies in the house being bottled n out to pasture 3x a day and one momas placenta want drop from yesterday ,wouldn't you know she would do that in the rain with oldest boy having surgery Monday n me with SI- joint radiofrequency burns yesterday so I had no choice but to let that work on its on till hubby got back from Miami this morning. my father called said only to tie a half little brick to it dont pull it or she may bleed to death.so baby goat season came with drama but so proud of of all the boys n the learning experience.I finally learned to milk a goat!!! Beyounce didn't make enough milk for the twins so one died so I started milking the other mom that her baby was crippled so I could use it to feed both house goat baby boys . now Bigboy has learned anymom that will be still long enuff for him to get a drink n run he is happy lol. bless his heart. hope your little guy is doing well. and I love the color on the barn so can't wait to show it to hubby. The garden paint does spruce it up but my favorite covering is rough cut hemlock. We re-sided our barns and outbuildings with it and intend to keep it natural...it's beautiful and will last longer than I'm going to live here. Have you considered guttering the front of the roof, or curving the 'lip' of it to keep dripping water from keeping the ground muddy at the front of the shelter? Also water dripping from the lip can be blown into the shed. I had a porch roof over a dirt floor and by the end of the first summer, there was practically a trench in the ground and some soaked furniture (we get some strong winds). Love the 'barn red' paint. I'm sure the boys will enjoy the new digs. Good job! Cindi, I used to have a llama, and really miss him. That's so funny about Bigboy, and very interesting about the brick! Sounds like you've had your hands full and I hope things settle down for you! TCF, oh yes, that would be the best! So much better than our plywood and barn paint, LOL. I'm sure it cost you as small fortune, but the result must be priceless. Great job. Love the colour. 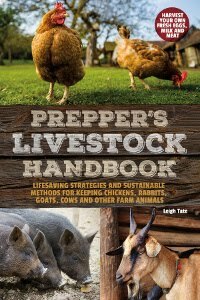 I just found your site recently and have been vicariously homesteading from the beginning of your blog to the present. As I began your adventure, I immediately wished it were a book. I kept reading and wondering why you weren't selling an e-book or writing for Mother Earth News or the Huffington Post. So, I was really delighted when I came upon the link for your new book blog. I can't wait to order a copy! Rebecca, thank you so much for your comment. I'm amazed you would take the time to read all of my blog! And that you would think it interesting enough for a book. 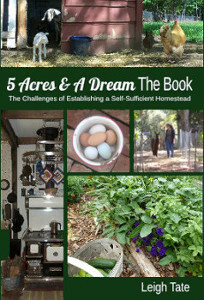 A fellow blogger encouraged me to write the book. Comments like yours keep me going. I'm hoping it will be published by this summer. Great looking goat shed. 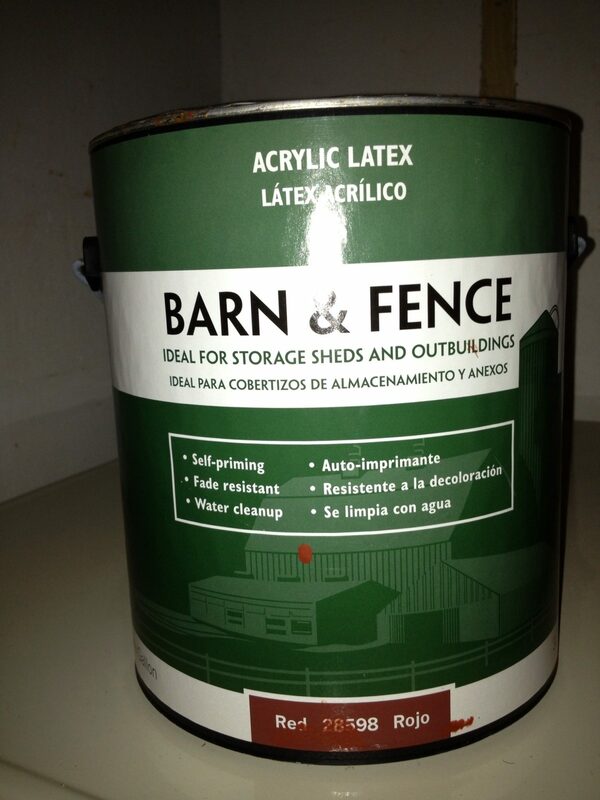 I wouldn't have thought about fence panels,and I agree with the barn paint. I love that stuff too. As far as the claw foot tub, we had the same problem with the weather. I needed 70 degrees to be able to use the stripper and then paint it after but last summer didn't happen til late and by that time I was busy in the garden and canning and the man works 5 days a week so that never seemed to work out. Finally we took a small electric heater and put it under the tub to warm it up. Worked great and we had the tub done before Thanksgiving and a group of guys to help us move it in.